Perhaps it just happened that I’ve wanted to go on a personal adventure for the longest time; or maybe because I have new found friends (NFFs) in that city; or perhaps because I keep on seeing a lot of things about that place on cable TV. Whatever the real reason was, I booked my flights and my hotel, and though I hesitated and had thoughts of postponing the trip, I did push through. I’m so glad I did. I arrived in Kuala Lumpur on the evening of August 24. It was my first time there, and I was alone, but eager and ready to start my adventure. I was really aiming for a budget trip, to spend the least I could but still be comfortable and safe enough. 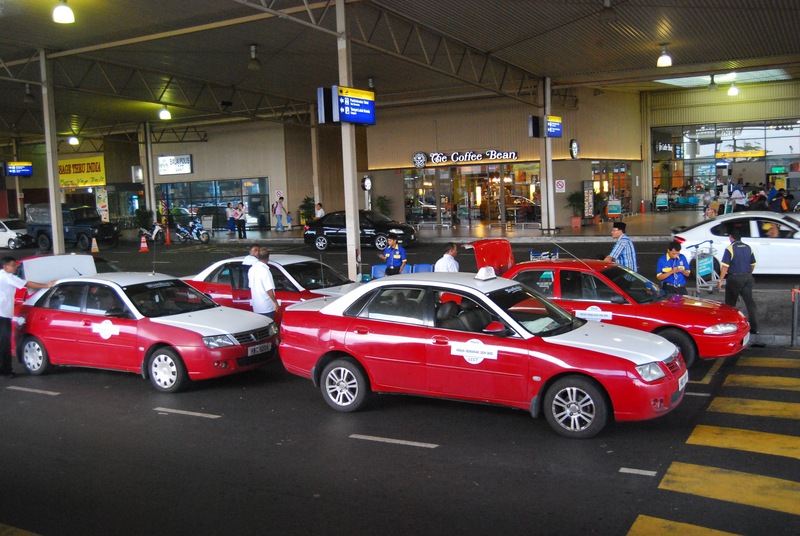 Instead of taking the taxi from the (LCCT) airport to my hotel, which would have costed between RM80-90, I took the shuttle-train connection from LCCT to KL Sentral Station, and took a short taxi trip from the Sentral Station to the Hotel. I spent less than RM30. I stayed at Citrus Hotel. It wasn’t in Bukit Bintang or around KLCC, but right within the city and not too far away. It was a 15min taxi ride from most locations around the city. Around the city, I did travel mostly via taxis, since I am not too familiar to feel safe taking the regular public transport yet. First agenda for that trip fell on the evening of my arrival. I met up with my Malaysian friend Daniel at the Pavilion Mall along Bukit Bintang. He gave me a really nice welcome dinner, and immediately introduced me to Malaysian food. I particularly remember the beef rendang and the satay… and he did teach me how satay was traditionally eaten. Early morning the next day, I was awoken by the ringing of my hotel phone. Ah, yeah, I was expecting some people. My friends Arnold and Wenna, who were based in Singapore, were also in town and they just arrived then in KL. Another old friend, Esti, was apparently based in Malaysia, and was also with them when they came to meet up with me. We had a quick breakfast buffet together, the four of us, before I had to fly off to my arranged tour for the day. 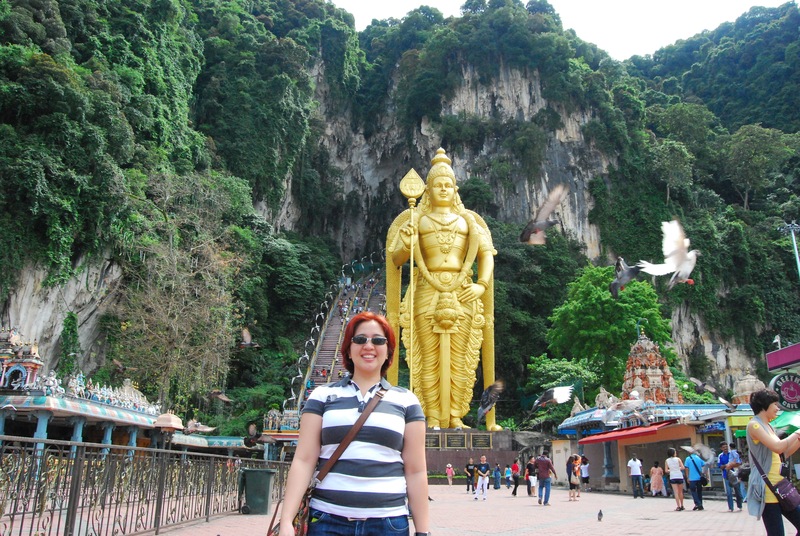 I pre-arranged a tour with the hotel, and this particular one had a number of key destinations around the city, as well as a visit to the Batu Caves, around 30 minutes from the city. First destination was the National Mosque (Masjid Negara), for which I needed to put on a cape and a head scarf before I can enter the mosque. 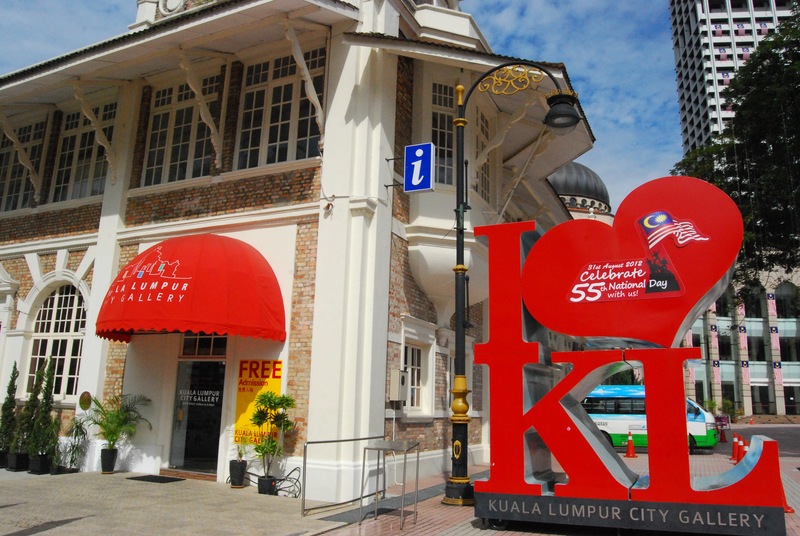 The next destination was the Kuala Lumpur City Gallery and the Merdeka Square. 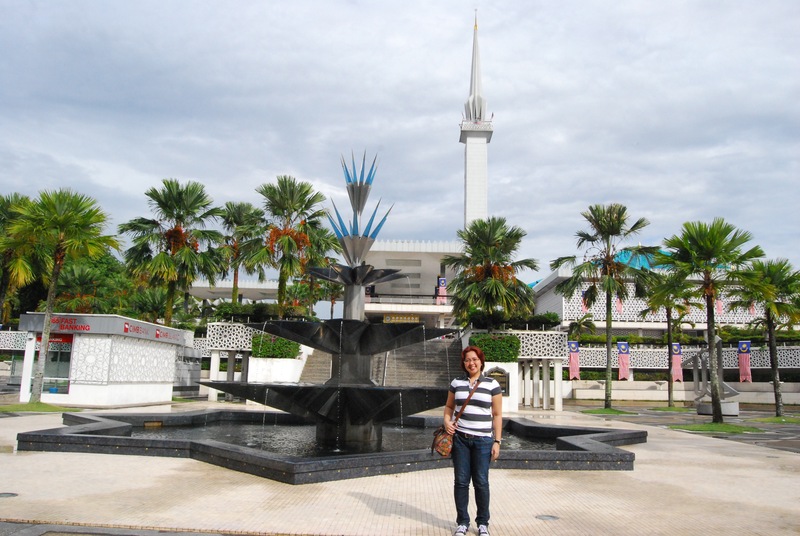 It was a good overview of the history and culture of Malaysia and the city of Kuala Lumpur. 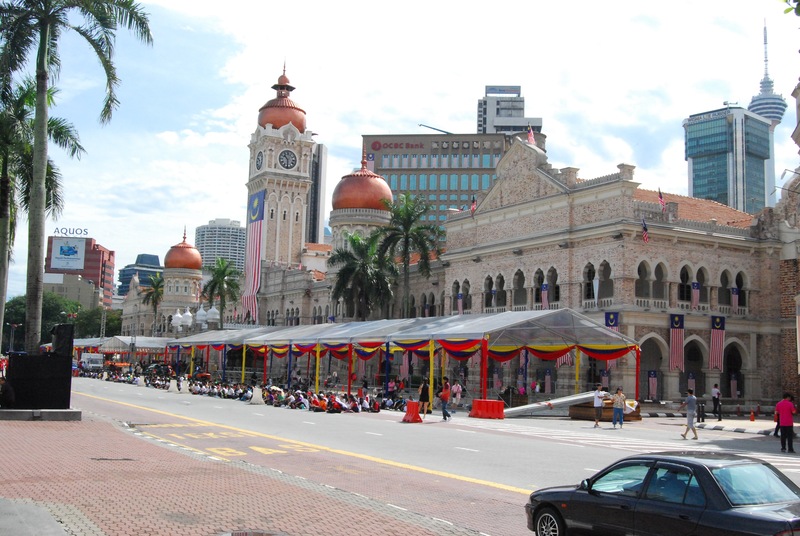 Also, it was a week before the National Day of Malaysia, and there were practices and preparations happening in the Merdeka Square, an important landmark and center of national activities. Next was Istana Negara, or the palace of the Agong (or the incumbent national King) of Malaysia. Malaysia as a country has a number of Kings or Sultans, each of which reigns over specific areas or states in Malaysia. One of these sultans is assigned as the Agong, whereas this role is rotated around the different sultans. 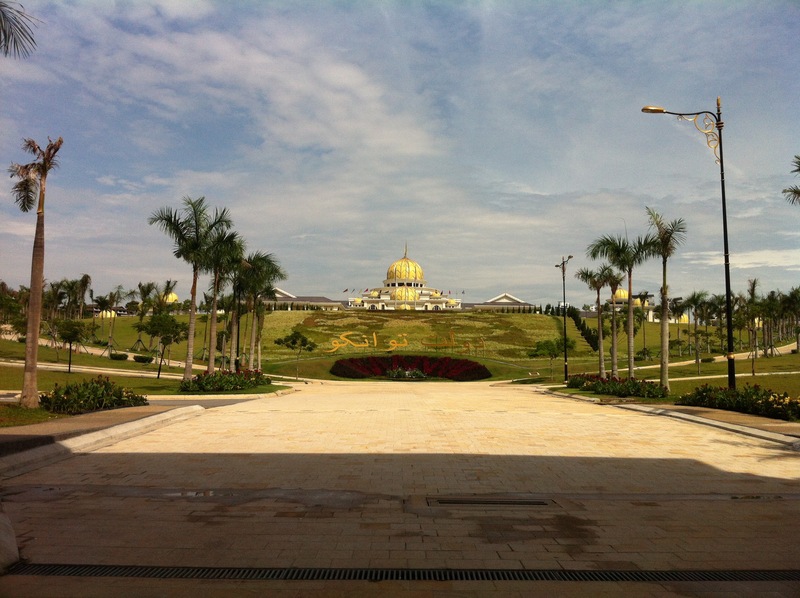 Unfortunately, the public is not allowed inside the Istana Negara, so we just took pictures outside. The next is the most significant destination of my journey, in terms of mass, time, as well as energy and effort spent. We went to the Batu Caves. 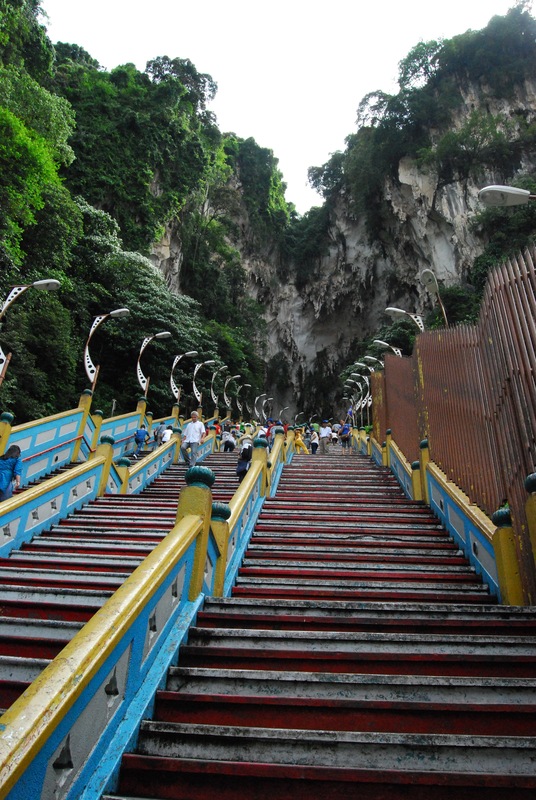 The Batu caves are a series of Hindu temples built into and around large limestone cliffs and caves. At the entrance is the 42.7 m high golden statue of Lord Muruga. There are 272 steps from the ground to the main temple, and yes, I did climb the entire thing. Inside of the cave was a wonderful mix of natural limestone formations from the 100m high cave, as well as the cultural and religious structures and images of hindu gods inside. 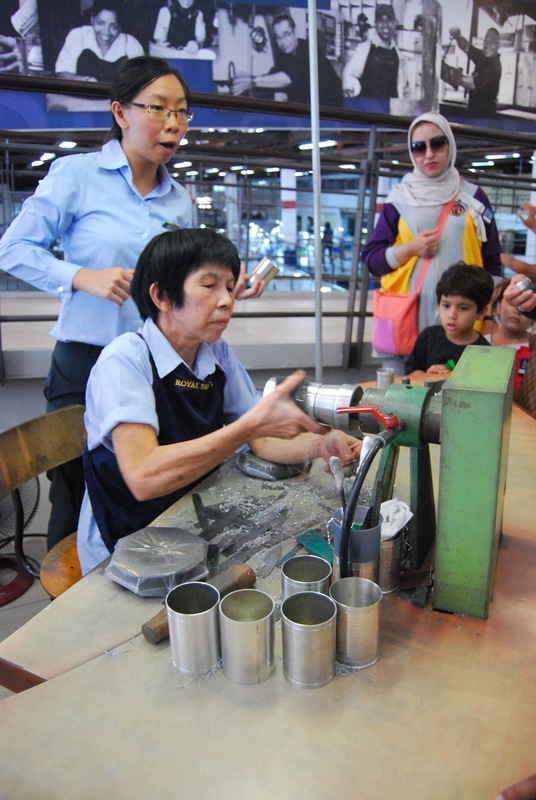 From the Batu Caves, we made our way to the Royal Selangor Pewter factory. They are the biggest manufacturer of pewter, which is an alloy made of tin, antimony, and copper. Apparently, the British were drawn to Malaysia especially because of the abundance of Tin in the natural resources of the country. Last destination was Beryl Chocolate Store. Although I didn’t have plans of buying any, I had a taste of their special tiramisu milk chocolates, and they were superb! I ended up buying a bag of chocolates for me and the family back home.